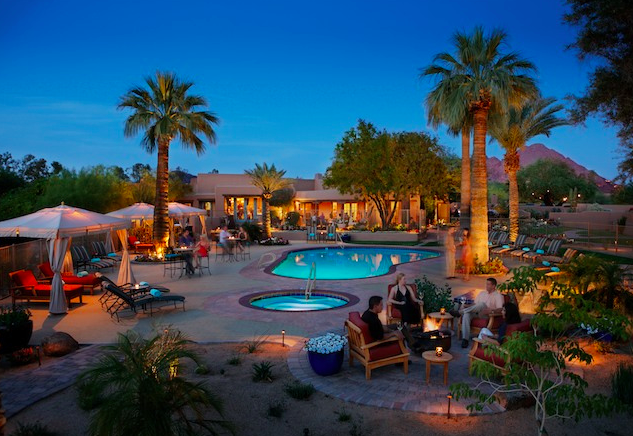 For a truly unique experience unlike anywhere else in Arizona, spend a weekend at The Hermosa Inn in Paradise Valley. Already a luxurious boutique hotel, their level of luxury has just been taken a step higher. The resort has recently added butler service to their long list of amenities you can enjoy during your stay. Available at a moment’s notice by a private phone number or email, each guest’s butler is ready to cater to any request you may have, whether it is dining, comfort, or ambiance. For a couple’s retreat, The Butler’s Romance Series is also offered, which helps you create the perfect romantic evening for you and your loved one. Delivery of flowers, desserts and champagne in-room, hot drawn bath, or a private dinner under the stars, your butler is ready for anything. Business, romance, or casual, any preference made known will be saved, and made ready and available for your next stay. “We’ve found that our guests are appreciating this higher level of service, as it creates a more memorable, relaxing and worry-free experience,” said Pam Swartz, Director of Guest Services. The service is $75 a day and a 48-hour notice is required.